In conjunction with the 50 years celebration of MelbourneBallet, there’s a free ballet exhibition going on right now until 23 Septemberin Gallery 1 and St Kilda Road Foyer Gallery at Arts Centre Melbourne. 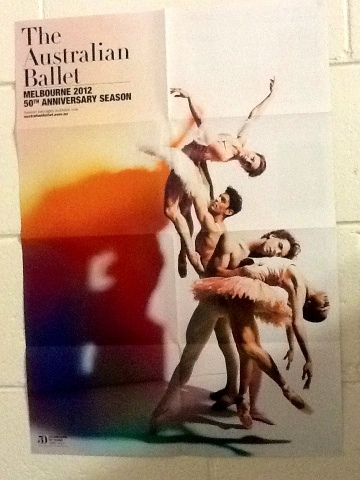 This ballet exhibition is brought to you by Arts CentreMelbourne. 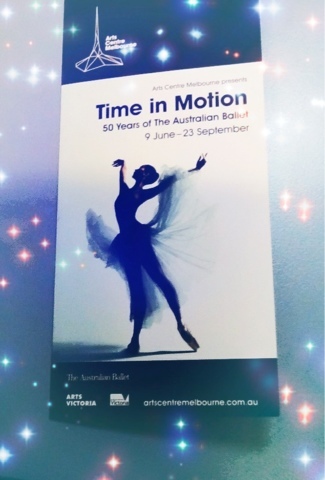 Time in Motion: 50 years ofThe Australian Ballet celebrates the enduring style, strength and passion ofThe Australian Ballet and its creative output over 50 years. 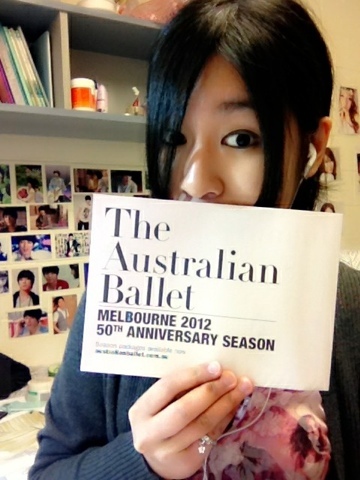 Drawn from ArtsCentre Melbourne’s Performing Arts Collection and The Australian Ballet’sarchives, the exhibition features photographs, film, designs and costumes. 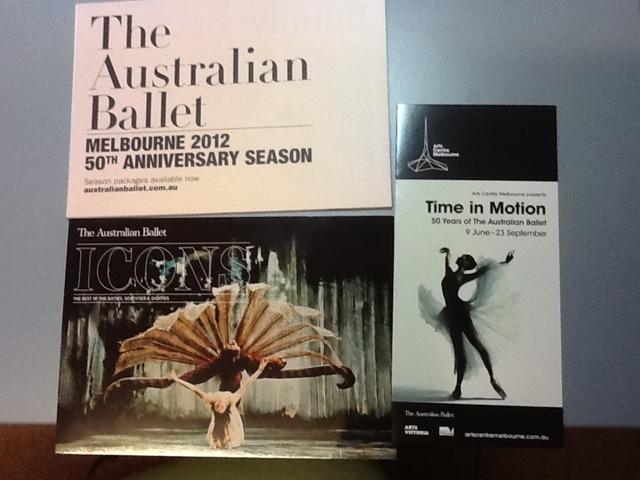 Timein Motion: 50 Years Of The Australian Ballet re-visits some of the company’smost memorable works illustrating its dynamic rise to become a national icon ofworld-class status. This was really a MUST-GO thing on my holiday list once Isaw it on the flyer. 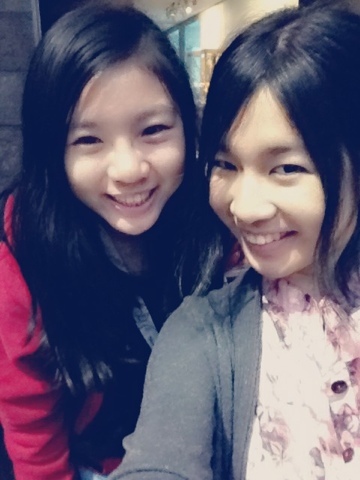 However, I procrastinated for 2 weeks cause I got hookedon a Korean drama :p Finally, I went with Micah on Sunday. 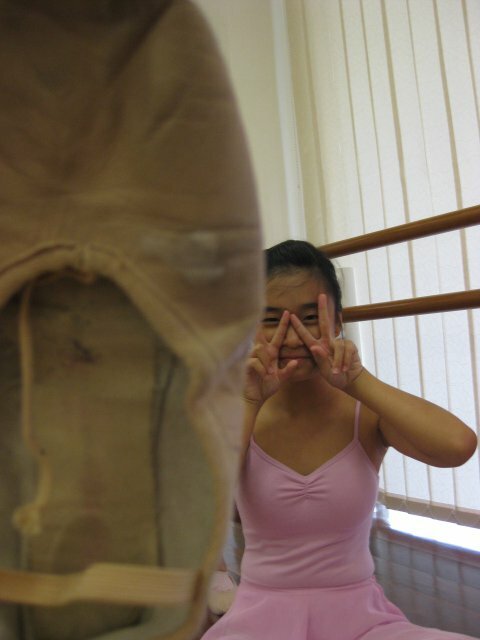 I actually got toknow Micah 4 days ago but since she’s also a ballerina, she’s hyped with thatexhibition thingy. Micah and I both have this poster in our rooms. Many asked me, "Why do you have this in your room? 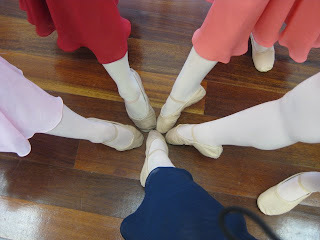 You like ballet?". 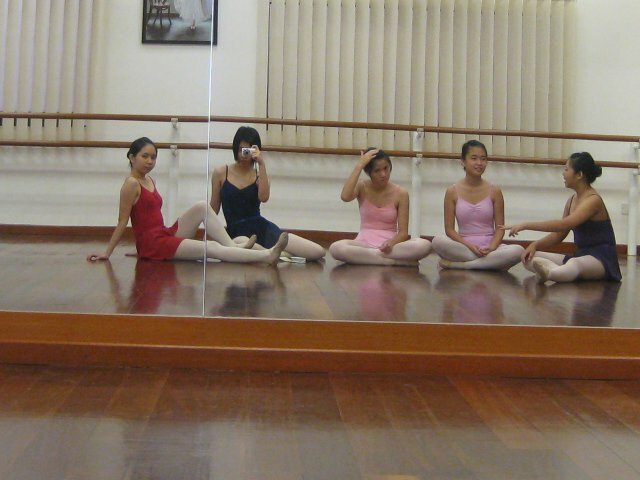 My answer "I DID ballet last time" would often make their reaction become like this --> @@, followed by a "REALLY?" Now I'll prove to you! 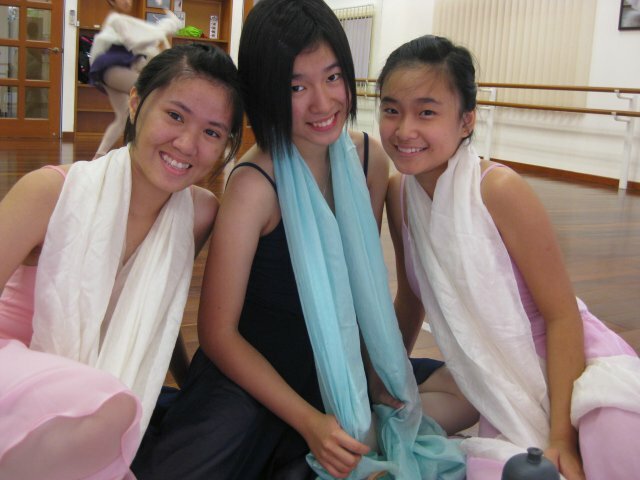 Melissa's outfit's colour was the most unique one, though I love mine the most! LOL! 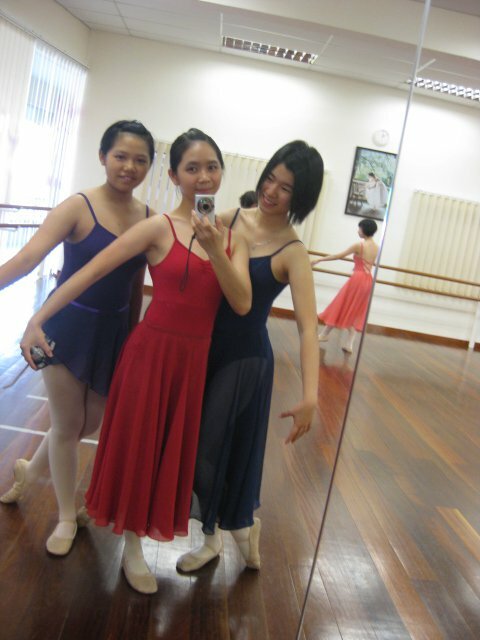 Evon had the chilli red outfit. 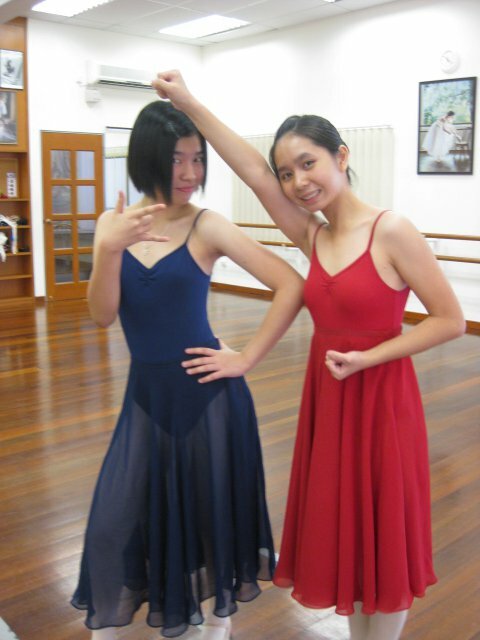 And both of us always joked around saying when we pair up, we would be SUPERMAN lmao! My revenge! TRYing to slap her with a shoe. Character dance! 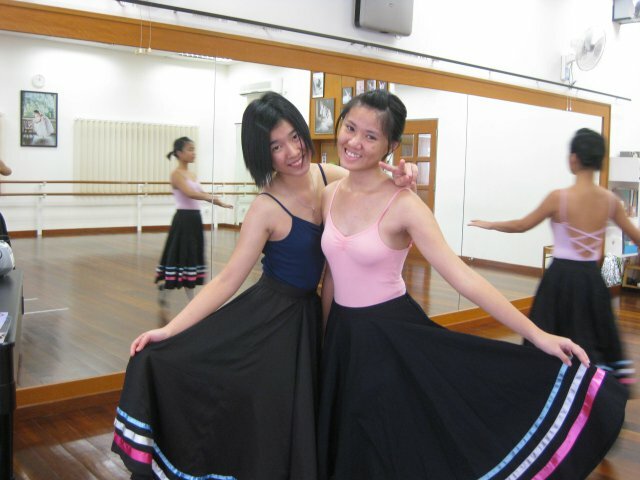 I loved the dress because it's black and duh...made me look thinner. 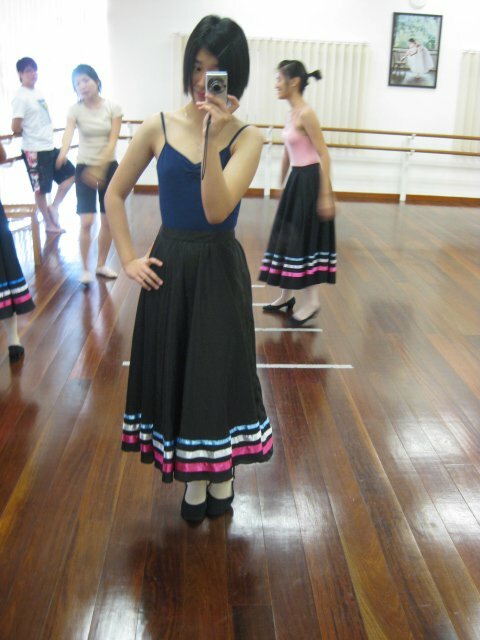 And the shoes had heels, which at that time I thought they were pretty awesome because I didn't get to wear high heels last time, so this were considered as my first heels. Our academy shirt! 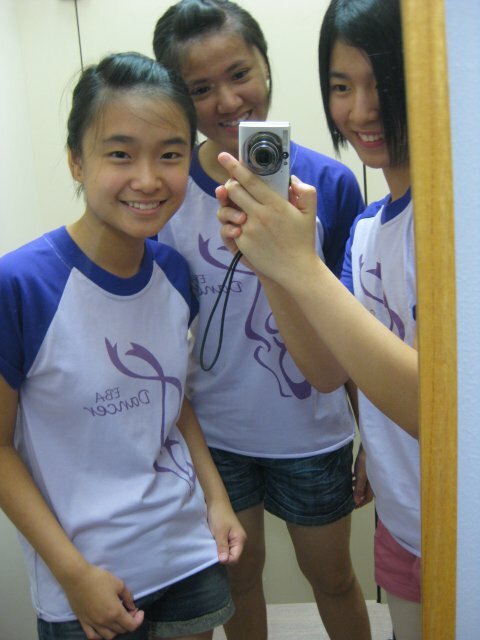 3 people squashing into a small changing room for selca! Gosh, writing this post makes me miss them so awfully much! 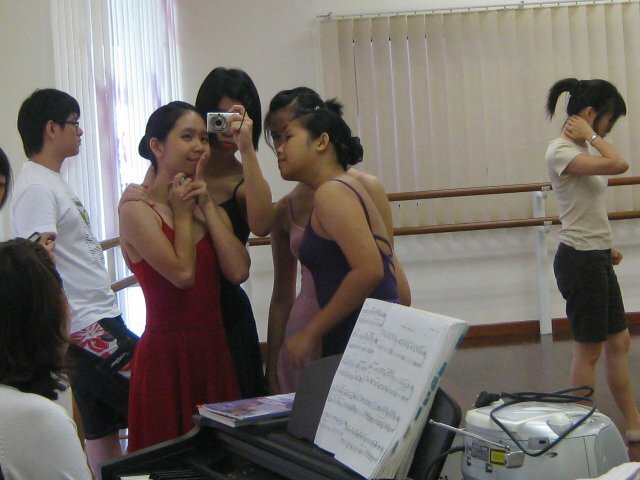 Miss those Wednesdays and Saturdays when we gathered in class for practice and also with lots of insane jokes and nonsense~ Gonna ask them out for reunion when I get back to Penang. I miss the pearl milkshake that we used to get downstairs! 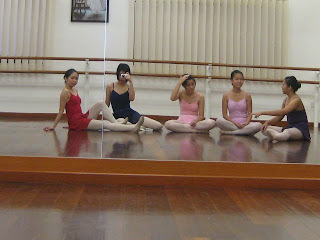 My ballet academy was Elizabeth Ballet Academy (EBA). 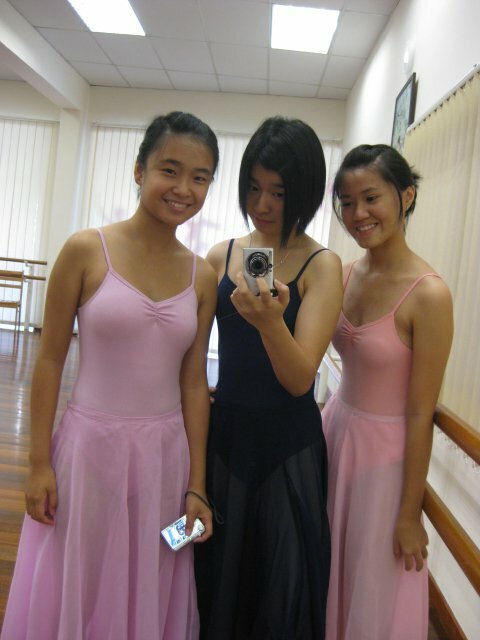 Whoever wants to enroll in ballet lessons, EBA will be the best choice!